Swiss franc continues under pressure against US dollar. Price moves closer to 2018 highs, remains bullish. The USD/CHF pair rose is rising on Wednesday on the back of a stronger US dollar and it on its way to the highest daily close since mid-November. The greenback rose across the board supported by higher US bond yields and resume the upside after a modest pullback yesterday. The US Dollar Index erased Tuesday’s losses and climbed back above 97.00, although remained below weekly highs. 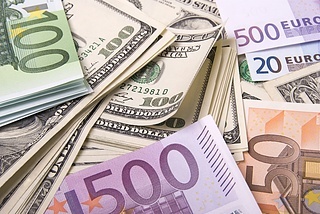 The US dollar is about to post the third daily gains in-a-row against the Swiss franc. On Monday broke a 4-day trading range and consolidated above the parity level. Despite the gains, USD/CHF has been unable to reach fresh weekly highs on Wednesday. As of writing trades at daily highs at 1.0085, up 25 pips for the day. The upside remains limited by 1.0100. The mentioned area is a crucial level, and a break above would expose 2018 highs located at 1.0130 (Nov 13 high). A daily close on top of 1.0110 should be a positive signal for the greenback. If over the next days, USD/CHF fails to extend gains, it is likely to lose strength favoring a bearish correction. Immediate support levels are seen at 1.0035 and 0.9980 (20-day moving average).